Jeep is known around the world for adventure. Synonymous with freedom and independence, their multi-award-winning vehicles allow you to go further and discover more. A long-time leader in 4x4 technology, their range of vehicles is perfect for both work and play. 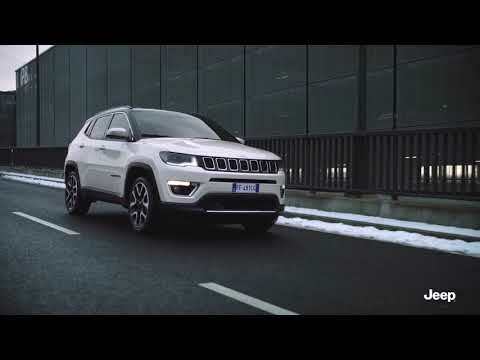 At Research Garage we are avid enthusiasts about the Jeep brand and their vehicles, from the compact Compass to the new world-class Cherokee, each is built to take you anywhere you may want to go. Our dealership Jeep dealership based at Nuneaton, offer a wide selection of Jeep vehicles as well as a range of aftersales services. We strive to deliver an outstanding customer service at all times and we have a very close relationship with all our staff and the family run business goes from strength to strength with each new member of the Research Garage Group family. All our staff are trained to the highest possible industry standards. With over 50 years in the business, Research Garage Group offer a professional and personal approach to vehicle sales. 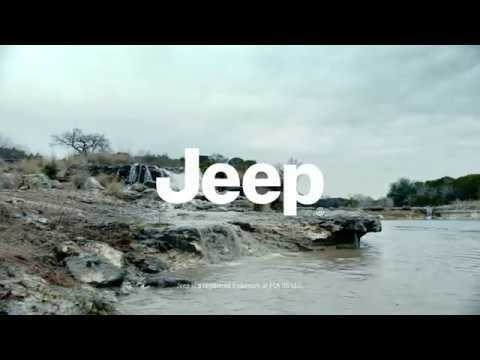 Let us introduce you to a life of adventure starting with the Jeep range and trim levels. Attraction and strong attitude run with dark. The new Jeep® Compass Night Eagle stands out with features and details that don’t go unnoticed. A special model that combines all the features of the Jeep® Compass with surprising add-ons such as the black chrome accents and gloss wheels that enhance the exterior and all the premium interior details. Face the night with style and comfort, show your darkness appeal. MAKE A STATEMENT: The distinctive restyling of the legendary seven-slot grille, embedded front head lights and middle and low fascia all form a part of the bold and unmistakable styling of a Jeep®. Don’t go unnoticed and make a statement in the city with the New Renegade. OUT OF THE BLUE: The attraction to the unexpected is what leads to the extraordinary, and the New Jeep Renegade is your ideal catalyst. Its renewed lower fascia and new LED lighting give its pronounced look a breath of fresh air. So expect the unexpected. A CUE FROM A VIEW: To be seen is simple, but to get noticed lies in the detail. The Renegade is full of details and legendary Jeep design cues. Built upon the Wrangler’s powerful stance to the new fresh LED light design and the exclusive X –which is inspired by the design of vintage gas cans. SEEK ADVENTURE: The All-New Jeep® Compass is dynamically styled for urban adventures combined with the capability and versatility expected from a Jeep. Inside, its designed to add ultimate comfort to every journey and has the ability to unlock the potential of your smartphone whenever you are on the road. Add a 5 star Euro NCAP rating and navigate your next adventure in safety and style. NEW LINE ON THE HORIZON: The All-New Jeep® Compass displays the unmistakable seven-slot grille with a contemporary black gloss and chrome inlay. Traditional trapezoidal wheel arches are complemented with LED rear tail lights and a wrap-around ‘day light opening’ trim line. Its imposing wide stance allows for great off-road durability and a tighter, stiffer feel for better handling and response on the road. And with McPherson suspension and damping systems, plus the rugged Jeep® Compass frame, it’s a smooth and enjoyable ride, whether you’re navigating city streets or taking the road less travelled. AUTHENTIC JEEP NATURE: The Jeep® Cherokee raises the bar with supreme on-road handling, efficient fuel economy, inherent Jeep® 4x4 capability and class-defining technology. With its legendary Jeep® brand DNA, Cherokee is perfectly engineered toexcel in any situation and on any terrain, allowing you to experience the best of both worlds. EUROPEAN DESIGN: The Jeep® Cherokee successfully combines a futuristic design with legendary heritage. Its aggressive wheel-to-body proportion and commanding road presence looks impressive even to the most demanding eye. Developed by European designers, the fluid, sleek exterior lines highlight the efficient upper body of the Cherokee. The rugged, protective lower body conveys the legendary capability that is a characteristic of every Jeep®, making the Cherokee efficient and capable on varying terrains and weather conditions. The new Jeep® Cherokee Overland top of the range version features body coloured lower fascia and side skirts, offering a new level of sophistication. FREEDOM FROM THE NATURAL STATE: A desire for freedom is innate in human beings. It emerges as a desire to explore, a passion for the natural world, a search for a defined identity. This has always been the authentic essence of Jeep®, perfectly embodied in Wrangler: an icon that has managed to remain loyal to its roots while adapting to the changing spirit of the times. Today its irrepressible inclination towards adventure leads it to explore new terrains, be it on- or off-road. New destinations, new sensations, new emotions. The journey starts again here. YOUR SPIRIT REVEALED: Free spirits recognise each other on sight: it’s a natural affinity. From the very beginning, Wrangler has accompanied such pioneers, taking them away from the ordinary, heading towards amazing journeys and exciting adventures. Its nature has not changed at all over the years – quite the contrary. The most recognisable vehicle in the world stays true to the original: it has been further improved to deliver more rugged capability, with increased interior comfort for superior driving experiences. Official fuel consumption figures for the Jeep® Renegade range mpg (l/100km) combined: 48.7 (5.8) to 35.3 (8.0). CO₂ emissions: 173 - 129 g/km. Fuel consumption figures determined on the basis of the new WLTP test procedure as per Regulation (EU) 2017/1347. CO₂ figures, based on the outgoing test cycle, will be used to calculate vehicle tax on first registration. Only compare fuel consumption and CO₂ figures with other cars tested to the same technical procedures. These figures may not reflect real life driving results, which will depend upon a number of factors including the accessories fitted (post-registration), variations in weather, driving styles and vehicle load. Vehicles only available through Motability accredited participating Jeep® Retailers and are not available in conjunction with any other offer. Advance Payments are correct at time of publishing and are subject to orders being placed between 1st April and 30th June 2019. Terms & Conditions apply. Offer may be varied and withdrawn at any time. Image shows a Jeep® Compass Longitude with optional paint, not included in advance payments shown on this webpage. Fill in the form below to keep informed of all updates to do with Research Garage Jeep. We will make sure you get a special invite to the launch!